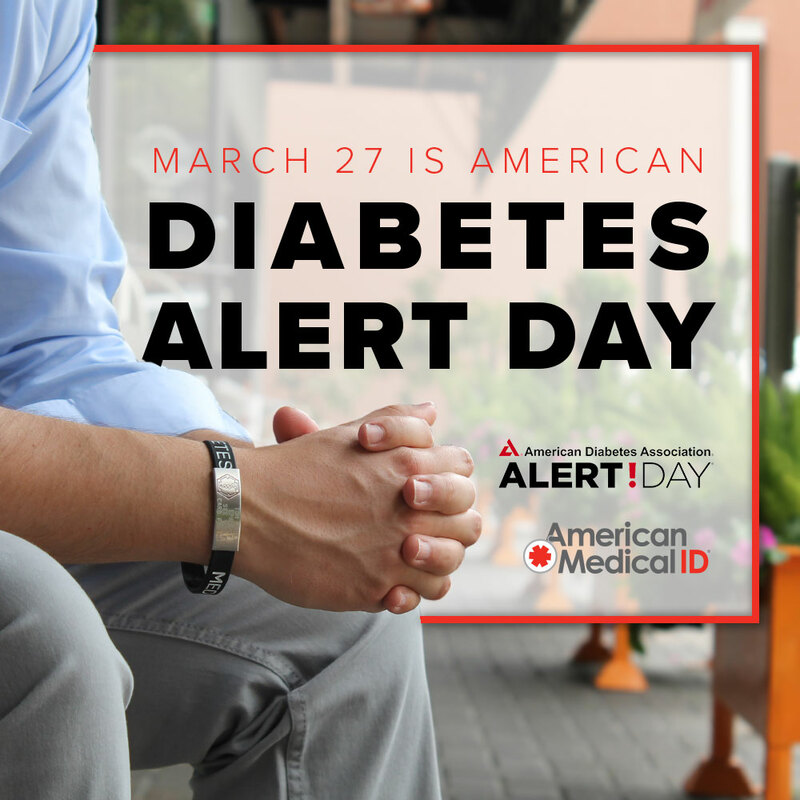 March 27, 2018, is American Diabetes Association Alert Day. It is an important day for raising awareness of type 2 diabetes and in encouraging the public to take the Diabetes Risk Test. This test only takes 60 seconds to complete and can instantly tell users if they’re at risk of type 2 diabetes. Take the Diabetes Risk Test or download the printable version to share with friends and loved ones. Did you know? Up to 25% of US adults who have diabetes but do not know that they have it. According to the Centers for Disease Control and Prevention, more than 29 million Americans are living with diabetes and type 2 diabetes accounts for about 90% to 95% of all diagnosed cases of diabetes. Worldwide, more than 400 million people are living with Diabetes and 90% of them are type 2. Unlike type 1 diabetes, type 2 diabetes can be prevented or delayed by following a healthy lifestyle, maintaining a healthy weight, and exercising regularly. The World Health Organization notes that this type of diabetes is largely the result of excess body weight and physical inactivity. Side effects of type 2 diabetes can be severe and include heart disease, stroke, kidney disease, and complications in pregnancy. It is also a major cause of blindness and lower limb amputation. According to the International Diabetes Foundation (IDF), cardiovascular disease is the most common cause of death in people with diabetes. If uncontrolled, the consequences of having diabetes can be very serious and eventually become fatal. Being diagnosed with type 2 diabetes can be stressful and oftentimes difficult but is manageable. Check out these stories of people who developed type 2 diabetes but still flourish. Having any type of diabetes is a concern for medical professionals. National health organizations like the American Diabetes Association recommend wearing medical alert jewelry. In an emergency, a medical ID necklace or bracelet is a simple but effective tool that can alert responders of type 2 diabetes. Emergency responders are trained to check for a medical ID around the wrist and neck. Wearing a medical ID can have a positive impact in receiving timely and precise treatment in a diabetic emergency. According to Medical News Today, the most common diabetic emergencies include severe hypoglycemia, diabetic ketoacidosis, hyperglycemic hyperosmolar syndrome, severe infections that trigger life-threatening complications, and diabetes complications like heart disease, heart attack, stroke, and kidney failure. Here are some tips on what to engrave on your diabetes medical ID. Find out if you or a loved one are at risk of type 2 diabetes by taking this test. Lower your risks of type 2 diabetes by following these tips from American Diabetes Association. I mostly post about Type 1 Diabetes (autoimmune diabetes) since that is what I have. However, Type 2 is more prevalent and is life-threatening as well. Some common reasons why T2 goes undiagnosed for months even years is because it creeps up on patients (unlike T1). Additionally, people have the common misconception that it only happens to people who are overweight, eat poorly and that it is a disease caused by the person. Genetics play a significant role and could be argued that it outweighs lifestyle and weight factors. People of color have a higher genetic risk, but it is not uncommon for white people. Certain conditions, such as PCOS in women, are connected to the development of T2. Some medications may influence insulin resistance (trademark of T2). Gestational diabetes sometimes remains as T2. It is a prediction of T2 later in life. Age is a factor as even with the increase of childhood T2, it is still rare to see it in children and young adults. If you are diagnosed with T2 but do not improve with diet, oral medication, and even insulin, you may actually have Latent Autoimmune Diabetes in Adults and should be tested for antibodies associated with T1. LADA is a form of T1 (often called 1.5) that appears somewhat more gradual than what is seen in childhood. It is commonly mistaken for T2 because it may be caught in its early stages of increased glucose before severe weight loss and Diabetic Ketoacidosis appears. Unfortunately, patients with LADA are given oral medications taken for T2 (to counter insulin resistance) but end up in the ER with DKA. Since the immune system destroys insulin-producing cells in T1 and LADA, oral medications for T2 even with diet changes will not work. Insulin is a necessary hormone to stay alive for everyone. Efficient use of natural insulin production is the focus of treatment for T2 but may be augmented through insulin or other injectables. Insulin *replacement* is necessary for all with T1 and LADA. Please know your risk factors and ensure that you are properly diagnosed. All forms of diabetes (there are several) are serious but have different needs to regulate blood sugar levels and other complications. Lace Llanora is a writer at The Health Room by American Medical ID. She can also be found engaging with our online community to help spread awareness of different medical conditions that require having a medical ID. American Diabetes Association, awareness month, diabetes, diabetes bracelet, diabetes medical ID, medical ID, medical ID jewelry, type 2 diabetes. Bookmark. I mostly post about Type 1 Diabetes (autoimmune diabetes) since that is what I have. However Type 2 is more prevalent and is life-threatening as well. Additionally people have the common misconception that it only happens to people who are overweight, eat poorely, and that it is a disease caused by the person. LADA is a form of T1 (often called 1.5) that appears somewhat more gradual than what is seen in childhood. It is commonly mistaken for T2 because it may be caught in it’s early stages of increased glucose before severe weightloss and Diabetic Ketoacidosis appears. Unfortunately patients with LADA are given oral medications taken for T2 (to counter insulin resistance) but end up in the ER with DKA. Since the immune system destroys insulin producing cells in T1 and LADA, oral medications for T2 even with diet changes will not work. Please know your risk factors and ensure that you are properly diagnosed. All forms of diabetes (there are several) are serious but have different needs to regulate bloodsugar levels and other complications.